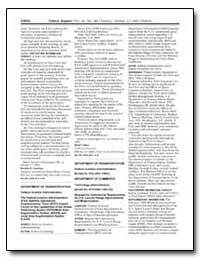 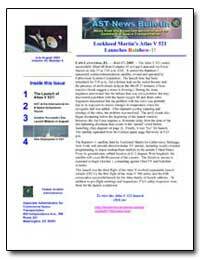 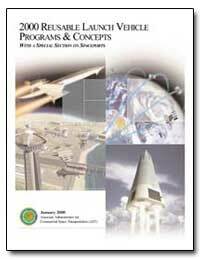 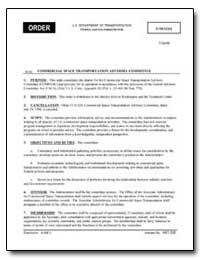 The Federal Aviation Administration: Associate Administrator for Commercial Space Transportation Collection is an archive of publications and reports from the Office of the Associate Administrator for Commercial Space Transportation (AST), the Federal Aviation Administration (FAA), the Commercial Space Transportation (OCST), and the Department of Transportation (DOT). 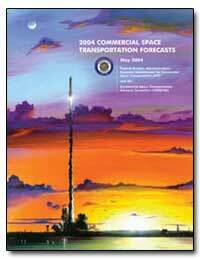 Lockheed Martin's Atlas V 521 Launches Rainbow-1! 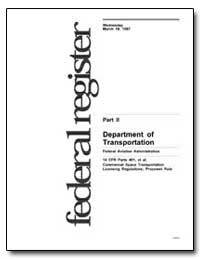 Purpose: The FAA SOIT will be hosting a public forum to discuss the FAA?s GPS approvals and WAAS/LAAS operational implementation plans. 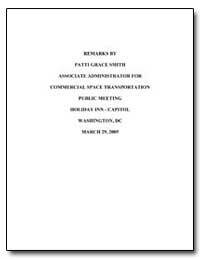 This meeting will be held in conjunction with a regularly scheduled meeting of the FAA SOIT and in response to aviation industry requests to the FAA Administrator. 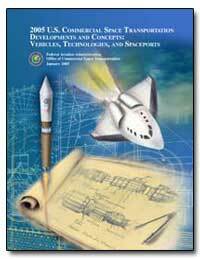 Formal presentations by the FAA will be followed by question and answer sessions. 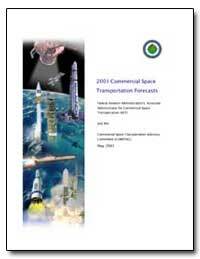 Those planning to attend are invited to submit proposed discussion topics. 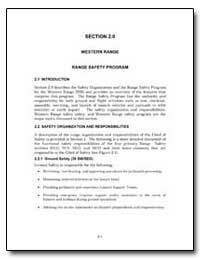 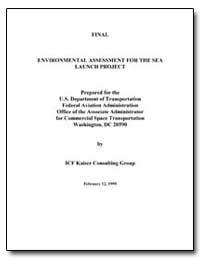 Excerpt: This Environmental Assessment becomes a Federal document when evaluated and signed by the responsible Federal Aviation Administration (FAA) Official. 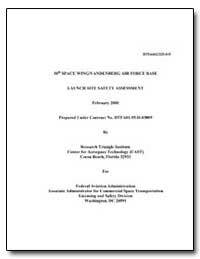 Excerpt: The Federal Aviation Administration?s Associate Administrator for Commercial Space Transportation (AST) licenses and regulates U.S. commercial space launch activity as authorized by Executive Order 12465 and Commercial Space Launch Activities, Title 49 of the United States Code, Subtitle IX, Chapter 701 (formerly the Commercial Space Launch Act of 1984). 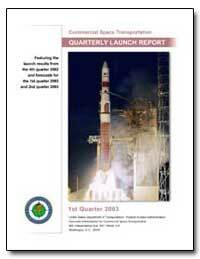 AST?s mission is to regulate the U.S.
Excerpt: The Federal Aviation Administration?s (FAA) Office of the Associate Administrator for Commercial Space Transportation (AST) licenses and regulates U.S. commercial space launch activity as authorized by Executive Order 12465 and Commercial Space Launch Activities, Title 49 of the United States Code, Subtitle IX, Chapter 701 (formerly the Commercial Space Launch Act of 1984). 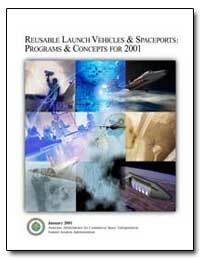 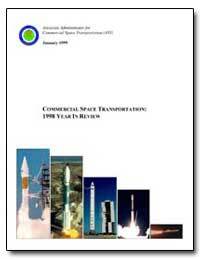 FAA/AST?s mission is to regulate the U.S.
Excerpt: The Commercial Space Transportation: 2002 Year in Review summarizes U.S. and international launch activities for calendar year 2002 and provides a historical look at the past five years of commercial launch activities. 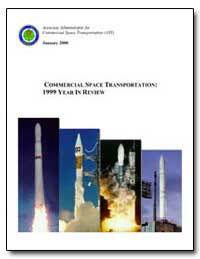 The Federal Aviation Administration?s Associate Administrator for Commercial Space Transportation (FAA/AST) licensed six commercial orbital launches in 2002, all of which were successful. 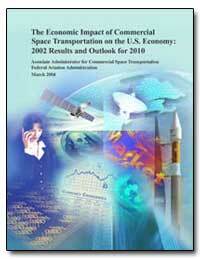 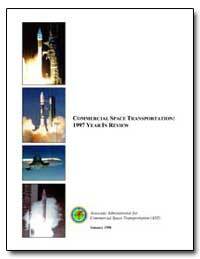 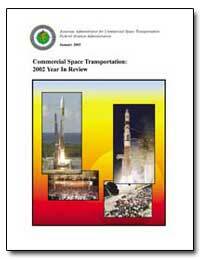 Excerpt: Information on the economic impact of commercial space transportation and enabled industries on the U.S. Economy in 2002.